IoT is hotter than ever! 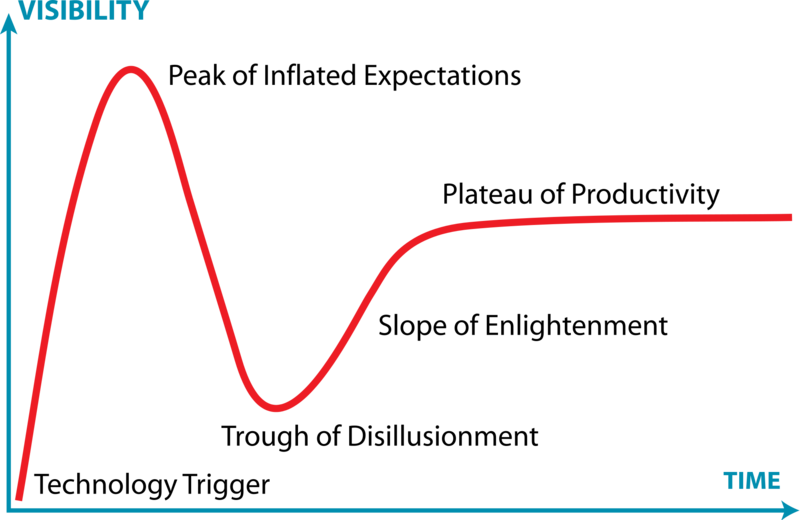 Gartner just placed IoT at Peak of Inflated Expectations in their Hype Curve and forecast 5-10 years until the Plateau of Productivity. But our baby is growing much faster than anything else we have seen before and I stick to my previous view that our baby will be grown up, but still young, 2016 after only three years as teenager. Good enough technology and infrastructure are in place since a couple of years and when organizations started to go from Powerpoint and thinking to trials and pilots we reached the teens. Four things have been missing to leave the teens behind: solid participation from the IT players, a hot M&A market, active and seriously engaged enterprises and efficient easy-to-use prototyping tools for users of IoT. All these things are starting to happen now which is one of the reasons why I dare to challenge Gartner on their projection. But there is another aspect of IoT which is underestimated: how the value is created. In most cases we build something and when it’s done we start harvest. And if customers like what we built it takes off. It might take a couple of years at least to plan, develop and start produce, then we start market and after another year or so it might take off. That explains Gartner’s 5-10 years to Plateau of Productivity, if one ever gets there. 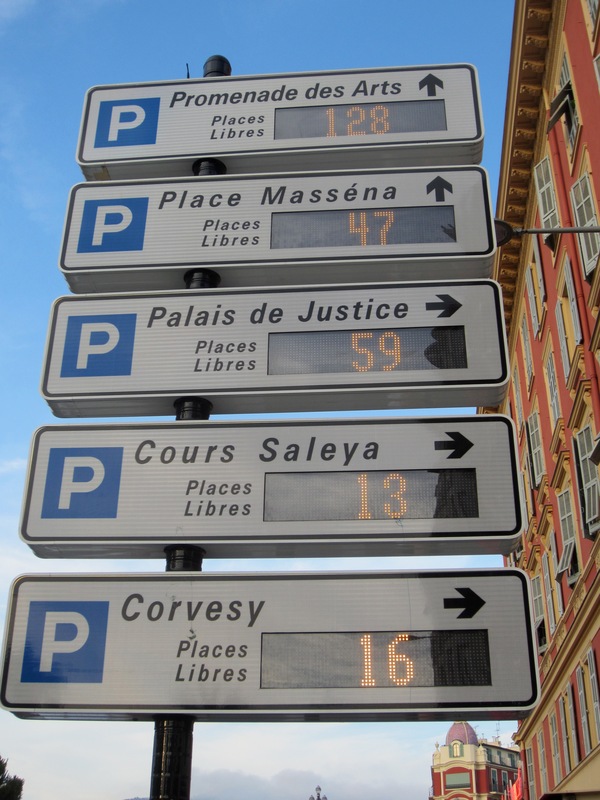 But IoT applications deliver value when the information created is distributed to an IT system, shows up in an app, makes an alarm go off somewhere or change a road sign. Initially all IoT applications had to be created end to end – from sensor to terminal – which made them expensive to make and maintain. But now we can leverage existing networks, platforms, tools, terminals and applications making it much cheaper and quicker. So far we have seen this primarily in the consumer market where a connected sensor providing data to an app has been good enough. In enterprises data management and delivery is more complicated and changes in processes and business models takes time, but they are getting there. When they do, the operational value (cheaper, faster, etc) will be obvious and the strategic value (brand, innovation, employer attractiveness, etc) will be visible in the horizon. One only has to look at what GE is doing with Industrial Internet to understand that the impact will be massive. Everyone promoting the story about billions of connected devices delivering data to impressive Big Data systems creating trillions of $ benefits clearly put IoT at the peak of inflated expectations. But all hard-working organizations and entrepreneurs working on industry or company specific IoT applications, well-integrated and cleverly implemented, are changing the world very fast. These efforts will start pay off soon putting competitors who haven’t started yet in a very difficult situation similar to when the frequent flyer program happened or Richard Fosbury jumped 2.24 at the Olympic Games in Maxico City 1968 using a “redicolous” new technique. The only major difference between when we connected people and businesses to the Internet and when we connect things is that ignorance will not be an acceptable excuse this time. Beyond some clever start-ups the winners will be organizations who best understand when and how to improve their business using IoT solutions. Mergers and acquisitions indicate rapidly growing markets ahead. Google made a 3.2B$ acquisition of Nest in January. 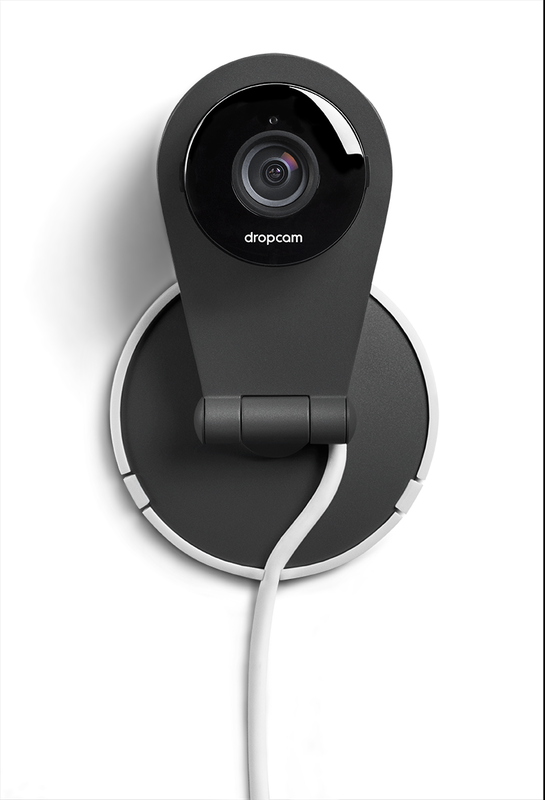 Now they just followed on with an acquisition of the Wi-Fi surveillance camera maker Dropcam for 555M$. Thermostats, smoke alarms and cameras – what is Googles plan? I think it is the homes and maybe offices they are after. There are many thermostats, smoke alarms and smart cameras available but Nest and Dropcam definitely comes with a cool design which should at least bring home healthier margins. People love nice products! Google has always been interested in Wi-Fi and it’s not a wild bet that there will be Wi-Fi in homes and offices. But this can’t be enough, they must be going after a service model with recurring revenues and collecting data from these devices to store, manage, analyze and sell. I have always claimed that “data is the gold of M2M” and I am confident that Google shares that view. Provided I’m right, I still questions that idea. Even if Google spend another couple of B$ to buy companies with cool things (Sonos could be a good target) they will never get market share over maybe 5-10% and scattered around. I understand that they could sell the information back to the users of these devices but that seems to be a difficult path to get the money back. And if they try to sell the data elsewhere I would believe the owners of the devices and policymakers would have a view on that. But Google knows all that. The recurring revenues are obviously attractive but it feels questionable to pay this much to get there. On top of all I believe their will have to be at least three separate wireless networks in homes: an unmanaged Wi-Fi with good performance but only best effort services, a really secure fully managed network for security related applications like door locks, surveillance and medical monitoring, and maybe even a third managed low bandwidth network for connecting things like fridges, coffee machines, etc. And even worse, we will see a mix of WAN and LAN technologies being used as well. I simply don’t see how one can deliver sensible services like surveillance or smoke detection over an unmanaged best effort Wi-Fi network. Successful companies with such services like Verisure today typically manage their own network. So I am probably wrong. Goggle sees something I don’t. And they also understand the down-side of connected hardware since Nest just had to recall 440.000 smoke alarms due to a potential risk that they didn’t alarm immediately. But I am happy for their acquisitions since it stimulates entrepreneurs, customers and other companies who consider playing a sincere role in building the Internet of Everything. In April last year I wrote that the M2M industry was leaving the connectivity focused baby phase and entered its teens. This was great news and happened much faster than when we connected people and businesses to the Internet. In essence this meant that all players who wanted to be part of building the Internet of Everything, not only the connectivity guys, started to gather around the table. Looking at when Internet of people and businesses was developed made it obvious that no one could make it alone and partnerships became the name of the game. That’s pretty much where we are today and these efforts are very promising. A major change has to take place before the industry leaves its teens and the building of Internet of Everything gains solid momentum – the IT companies have to take the lead. Up until now connectivity players have been enabling and driving but since “data is the gold of M2M” it has to be the IT players who take over before we really can get going. The value of any M2M application is realized when the information collected or created shows up in a decision-making system or a system managing processes of any kind. This is why application developers, system integrators, app developers, architects, UX designers, CIO:s, business analysts and others are key to bring on board. And this is why leading IT companies will have to join the party before take off. I have been waiting for the first ones to walk the talk and I’m delighted to share with you that it’s happening here and now! Cisco has rapidly been ramping up their efforts in the Internet of Everything space with research, reports, speeches, acquisitions, idea challenges, etc. 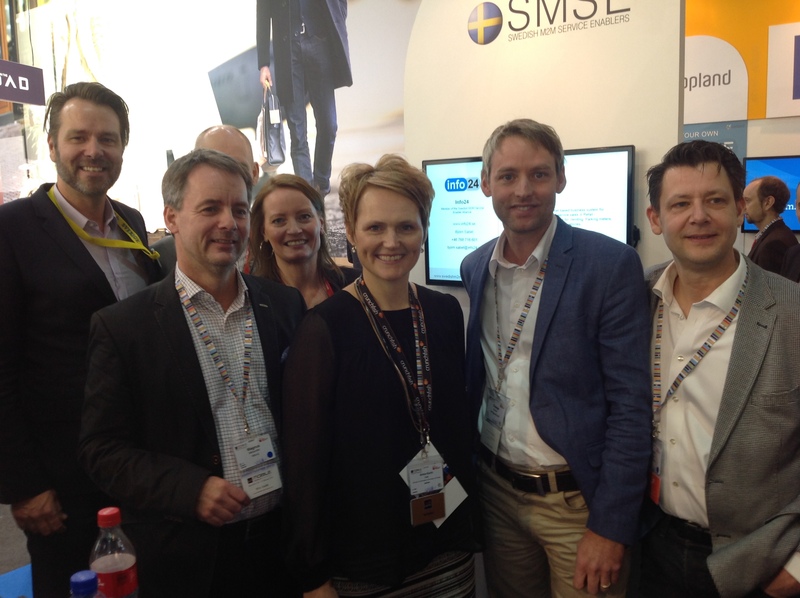 And last week they joined our Swedish M2M Service Enabler (SMSE) alliance as the first sponsor from the IT industry. This was very well received by our 26 members of the alliance and media. I expect collaboration and results quite rapidly and I am convinced we will have the leading IT players in Sweden, vendors and consultants, in our alliance before summer. My aim is to make Internet of Everything for Real 2014 in Stockholm June 18 the first event where leading connectivity and IT players will discuss how to create and promote the Internet of Everything together with the entrepreneurs and customers. Yet another evidence of the importance of IT in building the Internet of Everything was an interview with Klas Bendrik, Group CIO at Volvo Cars, in CIO Sweden today (in Swedish). Mr Bendrik says that everything change when both customers and products are connected – how they develop, design, sell and service cars. It influences the entire life cycle of the car and redefines the entire foundation for their company. “I and our IT function get involved in all business development when IT becomes part of the core processes in the car life cycle”. Voila! Data is the gold of M2M. The only difference from when Internet of people and businesses was built is that ignorance will not be an acceptable excuse this time. Decision makers need to look into what the Internet of Everything will mean to their business and industry now. M2M – a glocal business! 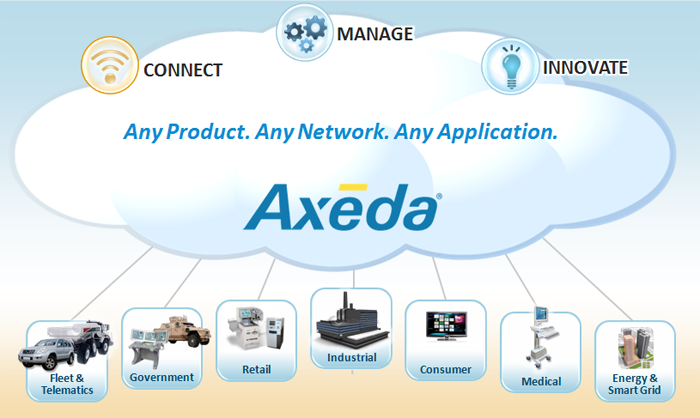 What more does it take to make M2M aka Internet of Things – everything or some things – happen big way? Let’s revisit the key components again. Data is the gold of M2M and the winners will be those who best utilize the data captured. Integration of data in existing business systems and processes is key to maximizing the value. Distribution of information through relevant channels and to terminals of users choice, using open api’s and gorgeous human-machine interaction is required for the applications to be used. Generic Device Control platforms on top of service providers networks together with Specialist Service Enablers are required to make it affordable to develop and maintain applications for clients of all types. The winners in Service Enablement will be the ones who understand the data they are dealing with and due to the huge amounts of industries and functions to be served Service Enablement will be a very fragmented part of our industry. I see most of this happening now and our industry is definitely developing fast. We are in the teenage stage already with clients moving from thinking and talking to doing. From Powerpoint to pilots. There is absolutely no better way to understand what happens if one connects things than actually connecting some things to play around with. And there is no better way to go for that than to contact a Specialist Service Enabler who has most things ready. Connecting things and collecting the data in the cloud was good enough 1-2 years ago when technology was the key challenge. But today the challenges are mainly business centric why understanding the context of the data is key to succeed. This is why Specialist Service Enablers is the right choice when it is time for a pilot or proof of concept project. But there is one major thing missing: Internet is global, ICT is a global business and Internet of Things will have to be global as well to prosper. Vendors and operators are working quite hard to make this happen which is great but it will take long time and they can’t make it themselves. Most organizations in the world are small to medium-sized and the software they use are mostly local or localized. Law, policies, culture, language, taxonomy, habits, taxation, religion, alphabet and friendship are examples of things that make people use local software. And it will continue to be like this for many many years. Since the data captured in M2M solutions should end up in business applications, maybe blended with data from public or commercial sources, we need what I call a glocal value chain. The global component is needed to drive economies of scale and enable international business etc. The local part is there to cope with the local requirements, to ensure proper integration in business systems and to engage integrators, consultants and developers locally bringing their clients with them. 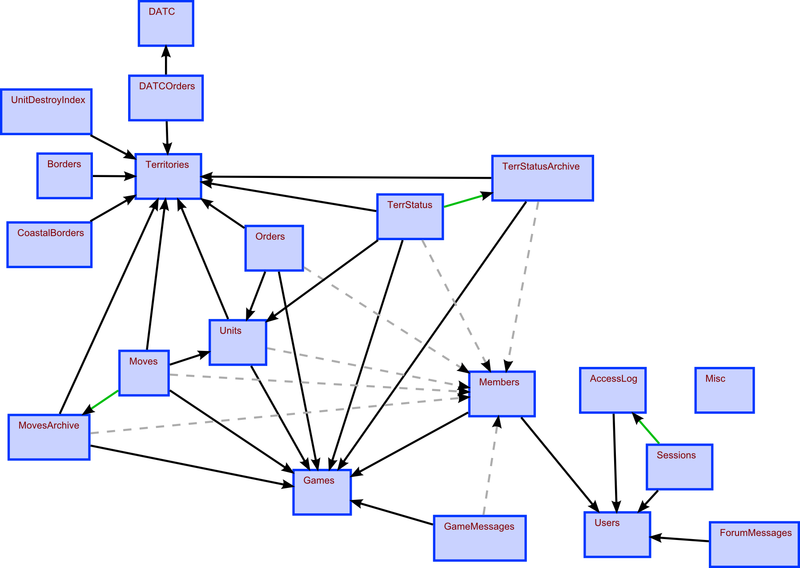 Glocal value chains are always difficult to make work. But in our case, whatever we call our industry, I find it quite straight forward. The global part consists of operators (like Telenor Connexion) and their alliances (like GMA), Telecommunication vendors (like Ericsson and Telit) and international ICT vendors (like Cisco, SAP and Oracle who all have started to move now). Ever since Ericsson’s 50 Billion Devices statement this inside-out effort has been coming along quite well. The local part, i.e. developers, integrators, resellers and consultants, has in most parts not got going yet and therefore the small to medium businesses in general are in waiting mode or not even aware. Specialist Service Enablers constitute the missing link. Due to missing operator device connectivity services they have had to learn to deal with the connectivity layer directly. And the services they provide to customers in the industry they target is to a large degree useful across boarders. To me it’s clear: operator networks with device connectivity services together with Specialist Service Enablers interfacing to local developers and integrators is the way forward. 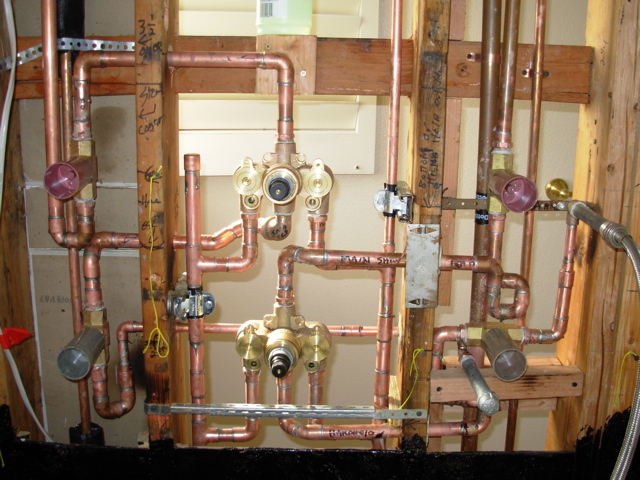 The challenges are primarily commercial and practical, not technical. I am working with members of Swedish M2M Service Enablers in several projects along those lines and it looks very promising.